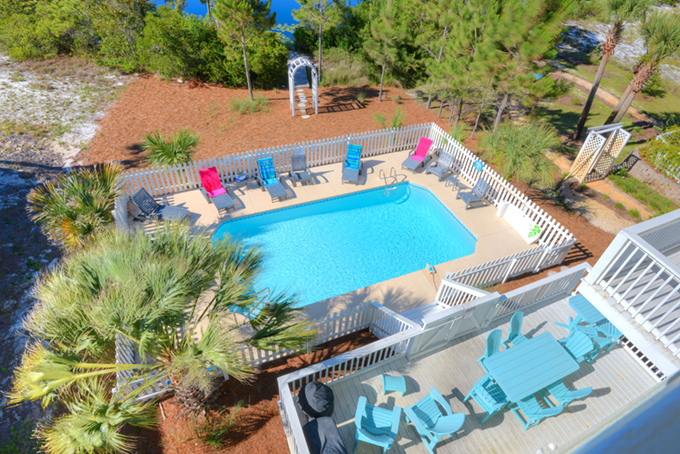 Daniel Dunes vacation rental is located on the beautiful Emerald Coast of the Florida Panhandle. 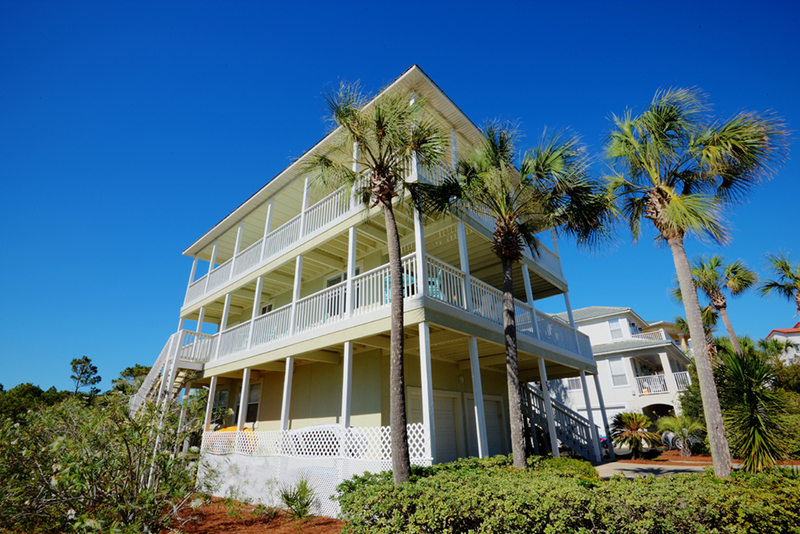 Surrounded by Deer Lake State Park, Eastern Lake to the West, and the Gulf of Mexico to the South; this home backs up to a lake with expansive westerly views of the gulf. From door to sand is a short 45 second walk making it easy to head back in for lunch or nap. Decks surrounding the house boast great gulf and lake views. A private pool is located on the lakeside of the house. Our vacation home is located on the beautiful Emerald Coast of the Florida Panhandle. Surrounded by Deer Lake State Park, Eastern Lake to the West, and the Gulf of Mexico to the South; our home backs up to a lake with expansive westerly views of the gulf. From door to sand is less than a minute walk making it easy to head back in for lunch or a nap. 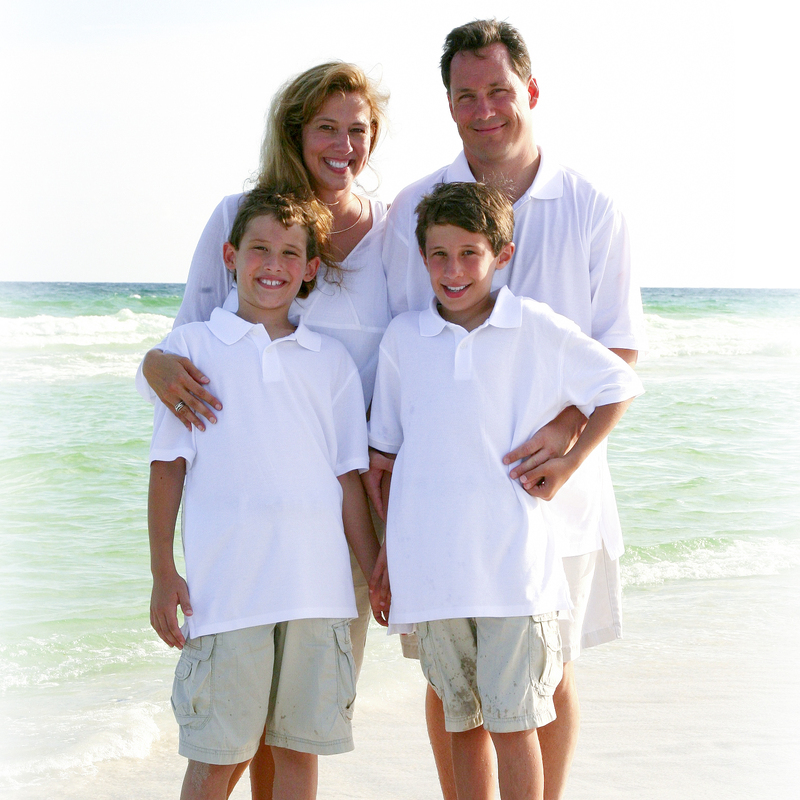 This location is one of the best locations in the Seagrove area. Situated between 2 lakes south of 30a, there is very little traffic. The house is on a small cul-de-sac off a dead end road making it ideal for little ones to have fun cycling. Ample bike paths great for rides to the Seagrove area restaurants and shopping; or ride on to Seaside for more activities. Also, Deer Lake State Park is within walking distance and has many trails to explore. Deer Lake is a rare coastal dune lake only found a few places in the world! 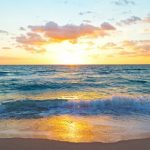 The beaches are well maintained and rarely overcrowded – no need to get up early and put out umbrellas.